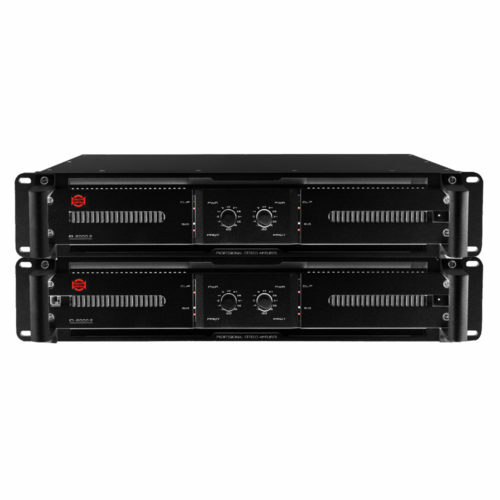 DA Series is an upgraded version of the most successful Public Address amplifiers from the brand. Now, these devices feature new Class-D power technology, DSP functions, software control and optional Dante networking in one single 2U rack package. 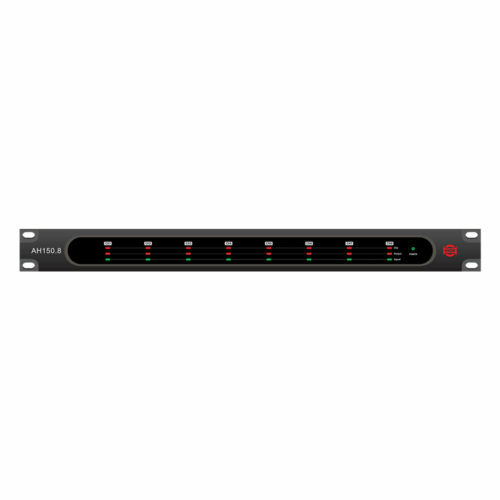 It is a compact, easy, stand-alone and cost effective solution for paging and broadcasting music in bars, restaurant, shops, offices and small to medium size venues. The DA-480Z and DA-481Z have the same characteristics; both models are differentiated by a MP3 player implemented in the DA-481Z. 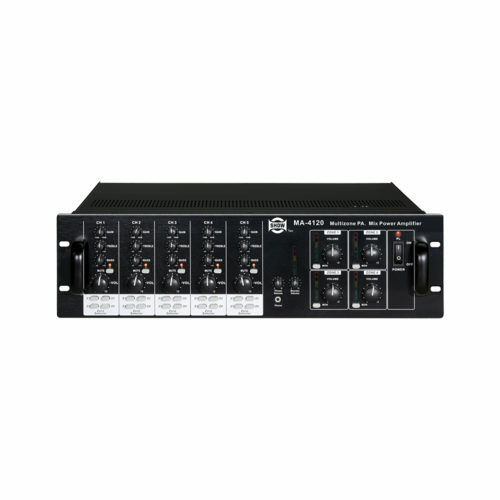 4 x Mic/Line inputs are available, plus 2 x Aux inputs for a two channel source, with volume knobs for immediate adjustment. 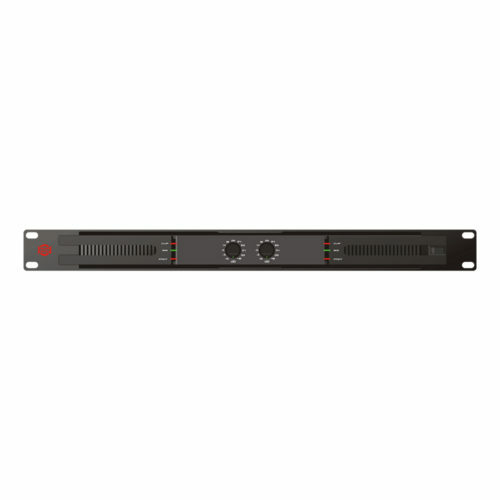 The 480 W output is divided in 4 switchable zone outputs sharing the same program. Mute control for the priority Microphone, chimes and siren sounds can be set from the rear and front panels easily. 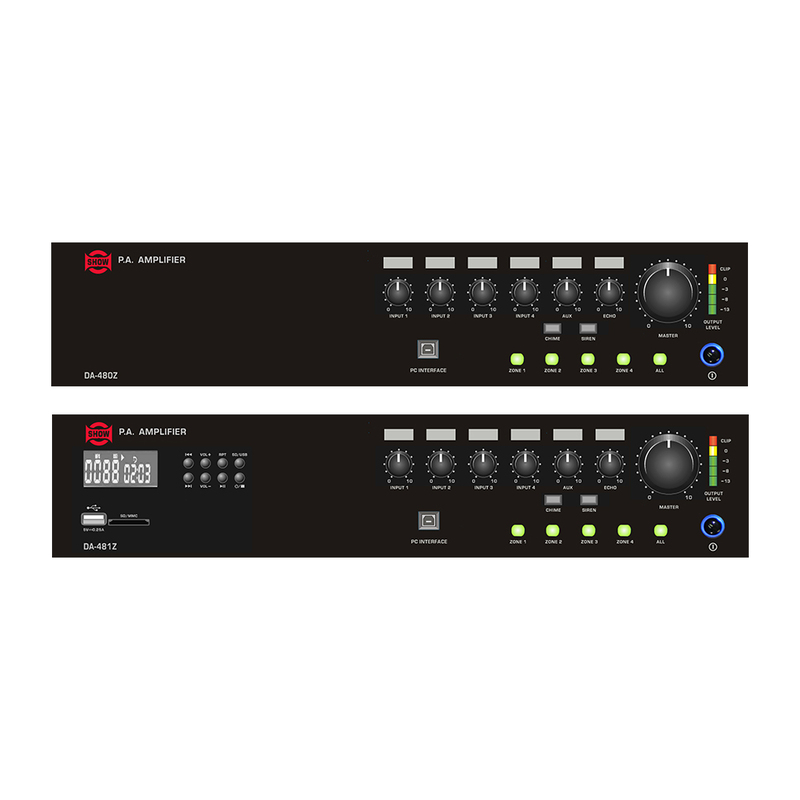 For optimized sound quality, DA Series feature a DSP engine where functions can be edited via a PC, including Gain, Parametric EQ, Delay, Compressor, Bandpass Filters, Crossover Filters, Routing and Effect. The optional Dante card offers networking facilities, especially for long distance audio transport and internet operability. A RS-232 port is available as well, for third party equipment remote function. An additional control output 1 W into 8 Ω can be a useful monitoring option for operators and a telephone paging input can be used for outside priority message.